Complimentary copy received from author for blog tour. Leigh Michael is an author of YA fiction. She's worked within the advertising world for nearly a decade before writing her debut series, Annabelle's Story. 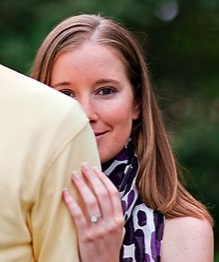 Leigh lives in Washington, DC with her husband and golden doodle. 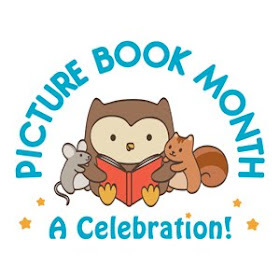 Please learn more about Leigh and her works at www.LeighMichaelBooks.com. Well, I'd say I have two main objectives. They're both quite straight forward. The first -- I hope someone finishes one of my books and says, "Wow, I want to read more from Leigh." The second -- I strive to be an author that inspires others. I'll simply say I aspire to be the type of person my peers and those younger than me look up to. I was lucky to have truly influential role models support me throughout my earlier years, and even still today. My parents, older brother, grandparents, teachers, and coaches helped me become the resilient, driven, and often stubborn person I am today. Everyone should be encouraged to seek out a mentor to learn from. What's your stance on "adult content" in YA? Although I'm an adult, I occasionally still see myself through the eyes of my mom as a young adult. It offers a familiar perspective from my growing up years. When deciding how far to take sexual situations, violence, and verbal obscenities, it was an approach I turned to yet again. I'm not going to condemn other authors who decide to put a high volume of this trifecta into their writing. Everyone has a different thresh point or tolerance for how much or how little they want to see in a YA book. Annabelle's Story has some romance, a little violence, and a curse word here and there. Like I said, I used my mom as a benchmark. If it would've made me unable to look her in the eye when I was sixteen, I didn't go there. I'd also broaden this to say, if I don't want my future sixteen-year-old to have this type of exposure in a YA book, I didn't go there. What is your goal for AnnaBelle's Story? Of course, I want you all to enjoy the series. More importantly, I hope for you to connect with Annabelle -- to learn with her, to feel her excitement, pain, and confusion. Okay, let's hear it. Plug your novels. Annabelle's Story is my debut series. I'm humbled by the interest readers have expressed so far. I think in part it's because Sprite (Annabelle's Story Part One) and Kin (Annabelle's Story Part Two) can appeal to many different audiences. The series follows a female protagonist. It's a paranormal. It's an adventure. A hero story. It includes mythology and folklore. There's some romance. It features mermaids, shape shifters, and fairies. And it brings you to a new world under the sea. If any of this appeals to you, I'd love for you to read Annabelle's Story. Where can we find Annabelle's Story? Both Sprite and Kin are begging for you to buy them. You can pick up copies in various spots online. Get yours on Amazon, Barnes & Noble, or Smashwords. 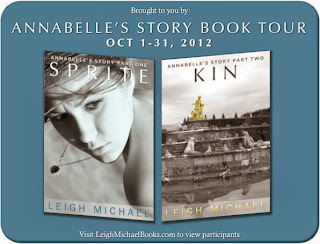 Stop by LeighMichaelBooks.com to learn more about Annabelle's Story and my current WIP. I also have information about a special Trick or Treat surprise on October 31st. A wonderful combination of mythology, romance, and adventure. Annabelle is an appealing character with a feisty temperament. She is stunned however when she discovers that she's not completely human, and not only that she is thought to be the answer to a prophecy. While I had a bit of a hard time getting into this story because of some editing problems (odd word combinations, grammatical errors, etc. ), once Annabelle arrived at Tritonis, I was hooked. The author does a fabulous job of creating an awesome setting in the underwater city of Tritonis. I immediately wanted to go there (only if I could breathe underwater like Annabelle though). I also appreciated lack of graphic sexual situations and excessive violence, it made the book a much more comfortable read for me. There is a bit of swearing, but not a lot. Overall, I recommend the book as a fun read for those who can't get enough mythology. Thank you so much for your thoughts and for participating in the AS Book Tour. I love how we're hearing about some of the lesser-known fantasy creatures (sprites, etc.) Makes for a nice break from the "bigger" ones (witches, vampire, werewolves, and such).